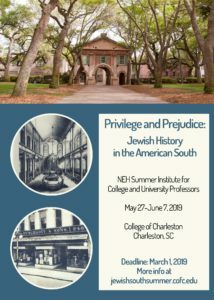 Calling for applicants for our forthcoming National Endowment for the Humanities Summer Institute, “Privilege and Prejudice: Jewish History in the American South ” – to be held from May 27-June 7, 2019, at the College of Charleston. We are particularly seeking faculty and graduate students of southern history and literature, Jewish studies, ethnic studies, religious studies, public history, and museum studies. Led by scholarly experts from across the nation, this seminar aims to revise our understanding of the entwined histories of the American South and its Jewish inhabitants, demonstrating the region’s cosmopolitan past and its relationship to both diversity and discrimination. The institute will prepare college and university teachers of southern or American history to incorporate Jewish history into their courses, expose Jewish studies scholars to the geographic range of American Jewish history, and encourage public historians to showcase cultural, ethnic, and religious groups in their local settings. 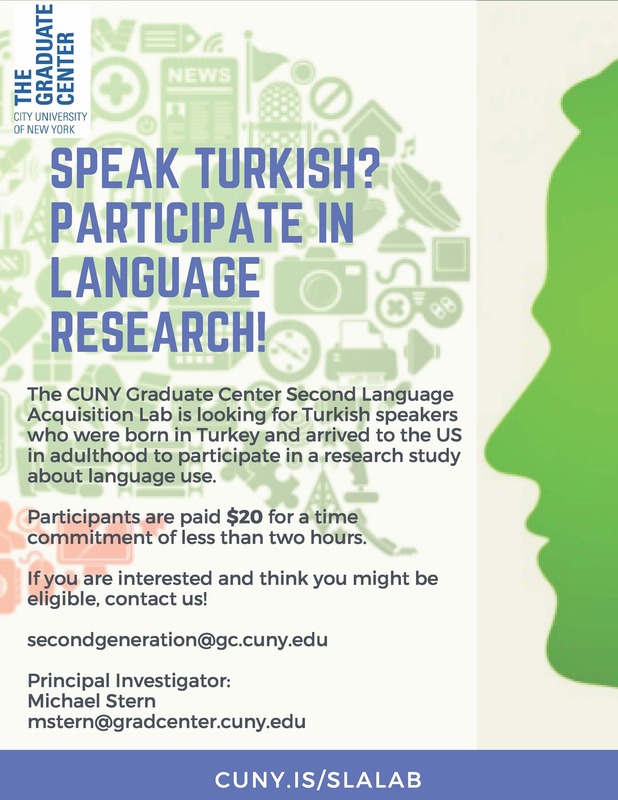 Each participant will receive a stipend of $2,100 for the two-week institute to help cover travel, housing, meals, and other expenses. We’re holding our annual book sale to raise funds for the Doctoral Theatre Students’ Association! The DTSA is the recognized program student association for the PhD Program in Theatre and Performance at the Graduate Center, and funds raised from the book sale are used to help us fund our Professionalization Events, the Booth Award, our student conference, and our many co-sponsored events with the Theatre Program. 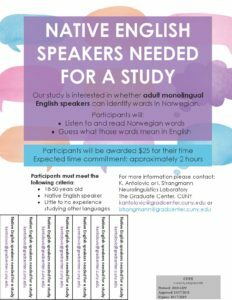 We will have a table in the Graduate Center lobby just outside of the Library on Wednesday, November 28 and Thursday, November 29 from 11:00am to 5:00pm. We’ll be selling books, homemade baked goods, and DTSA tote bags. But we need your help — DONATE your old books! Please consider donating to our cause, and we hope to see you at our sale!